℗ & © 1997 Soleilmoon Recordings. Due to an error in the mastering of this CD, an additional track ID appears, so that track 7 is split in 2 parts. The song listing is correct, the index points are wrong (nine track titles/ten index points). 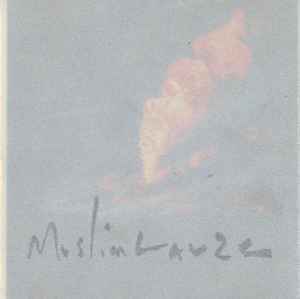 This is MUSLIMGAUZE at their peak! This is one of the absolute best albums Byrn made, superb all around. Amazing high and low tech sounds circling and coliding together, to make one remarkable album. It sounds like you may have sand in your speakers. Unmistakable Gauze!